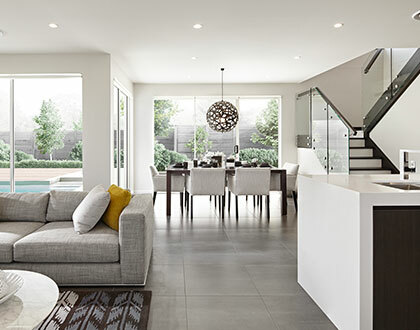 The ultimate in total climate comfort control, a fully ducted reverse cycle system can condition your entire home from one central thermostat. This gives you the convenience to heat and cool your home all year round just the way you like it. The Inverter systems works by adjusting the amount of capacity that the air conditioner is producing according to demand on the home. The perfect solution to heating your home all year round just the way you like it. 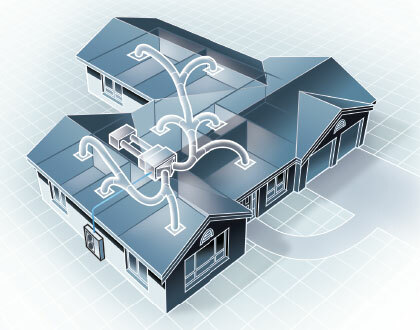 A fully ducted reverse cycle system can heat your entire home from one central thermostat.